A preview of Everton's trip to Arsenal. 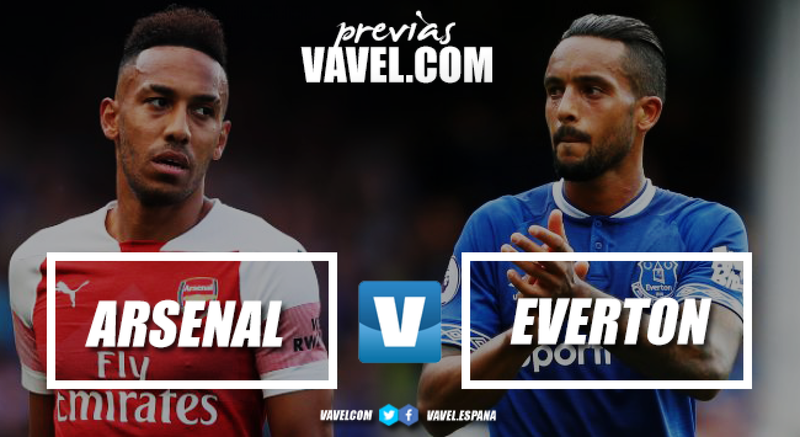 Everton travel to the Emirates Stadium on Sunday afternoon to face a new look Arsenal, looking to return to winning ways. Marco Silva’s side suffered their first defeat of the season last weekend at the hands of West Ham United but face the daunting task of trying to topple Unai Emery’s Gunners. The Blues have not won away at Arsenal since the 1995-96 season thanks to second-half goals from Graeme Stuart and Andrei Kanchelskis. Emery’s side are in fine form, winning four of their last five games in all competitions, but have shown a weakness in conceding goals in the Premier League. In their last four league games, the Gunners have conceded an average of two goals a game but are much more resilient at home - conceding only one to West Ham. They came through a Europa League meeting with Vorskla during the week with a dominant 4-2 win and will be looking to carry that form into Sunday’s game. When the two sides met at the Emirates last season, Arsene Wenger’s side comfortably dispatched of Everton 5-1. It was a grim day for the Blues as Aaron Ramsey bagged a hat-trick whilst being flanked by goals from Pierre-Emerick Aubameyang and Laurent Koscielny. Dominic Calvert-Lewin replied for then-boss Sam Allardyce’s side as Wenger’s Gunners led 4-0 but Ramsey wrapped up his hat-trick ten minutes later, securing the 5-1 win for the hosts. Everton will be boosted by the return of Richarlison after the Brazilian served the final of his three-game suspension last weekend. There still plenty of players watching from the sidelines for Silva’s side including Seamus Coleman, Andre Gomes and club captain Phil Jagielka. Coleman could be in contention for next week’s home game against Fulham. Barring a setback, Gomes will join training after that game against Fulham. Summer signing Yerry Mina took part in training for the first time earlier in the week and could be handed a spot on the bench for the trip. For the Gunners, there will be fitness tests for Henrikh Mkhitaryan and Lucas Torreira after the pair suffered knocks during the club’s Europa League win in the week. Sead Kolasinac and Laurent Koscielny are still sidelined with long-term injuries as Emery’s side retain a relatively clean bill of health. Everton have drawn both away games this season 2-2 after initially leading in both games. Marco Silva is winless in his last seven Premier League away games - two draws and five defeats.